A new Bauhaus museum has opened its doors in the eastern German city of Weimar to coincide with the 100th birthday of the movement. It will give admirers of the world-famous "form follows function" aesthetic a new place of pilgrimage. Bauhaus, a German art school, began in 1919 in the aftermath of the First World War, pioneering a new approach to architecture and design that was a reaction to the decorative frills popular during the pre-war era. It later moved from Weimar to Dessau, but there met its demise when in 1933. Hitler came to power and the Nazi party moved into the town hall and closed the school down. The Weimar Republic, a period of 14 years of democracy between two World Wars in Germany, and the Bauhaus, a symbol of that period, had come to an end. The museum's director, Ulrike Bestgen, said: "I think we should turn our attention to what Bauhaus can teach us. It always dealt with the pressing issues of its time. It addressed the housing shortage, the question of... how we want to live in modern times. "Here, we can learn and think about what today's issues are. Today we are talking about the housing shortage. But we are also thinking about other issues, such as climate change." 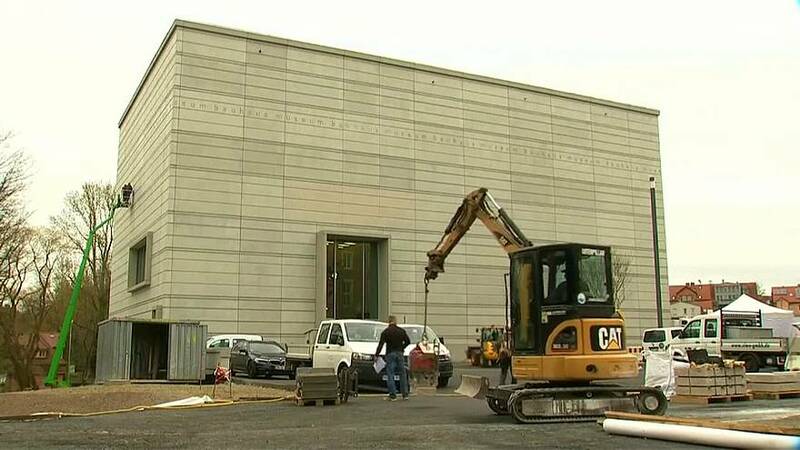 The museum will open to the public on Saturday after three years of construction, with free entry and various concerts and spectacles, as part of a Germany-wide programme of events marking the centenary.